The study discovers the market shares of eleven components of the electronic drive technology at the machines for 2017 and 2020. You get to know the growth sectors, the use-intensive sectors and those with the highest number of axes per machine for these components. You get to know the use of the servo drives' growth potential for new applications, the substitution of other drive components and the substitution of the servo itself. You get to know the technical modifications in the use of servo drives regarding positioning tasks, integrated safety functions, Ethernet, classical field buses, central, distributed or integrated servo converter and the modifications of the servo component towards Industry 4.0. You get to know the changes of the machine automation with the servo application, the types of the control at machines, the distribution of the control intelligence and six technological trends of machine automation in the servo application until 2020. You get to know the main suppliers of control technology, servo converter and servo motor as well as the preferences of the machine-builders in the supplier policy. The study is optimized as decision tool for servo providers. That concerns numerous single analyses (illustrates in 123 diagrams) and the analysis of the total contexts in the future of the servo application until 2020. 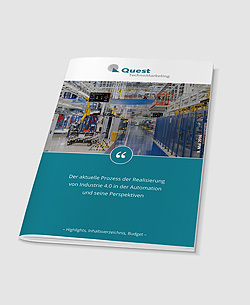 198 pages, 123 figures, 44 tables and over 160 statements of machine-builders, cited according to sectors.